SERVPRO of North Kanawha Valley has been the trusted leader in fire & water restoration for nearly 30 years in the Charleston,WV area. 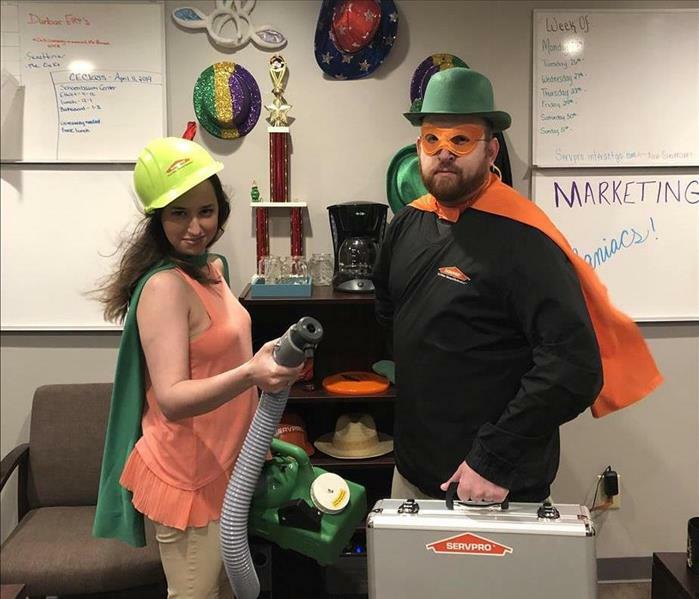 Homeowners as well as business owners throughout Northern Kanawha County and Jackson County know they can count on SERVPRO of North Kanawha Valley when disaster strikes. SERVPRO not only specializes in fire & water cleanup and restoration, but our highly trained technicians can also handle all of your mold remediation and forensic & biohazard cleanup as well. SERVPRO of North Kanawha Valley also offers a very qualified construction division so you don’t have to deal with multiple vendors on your restoration project. If your Charleston, WV or Cross Lanes, WV home or business suffers any sort of emergency caused by fire, water, or some other unplanned catastrophe, please call the most trusted restoration vendor in the Kanawha and Jackson County area. We have live operators standing by 24 hours a day,7 days week, 365 days a year to assist you. SERVPRO of North Kanawha Valley is locally owned and operated, so we are part of this community too. When you have a cleaning or restoration need, we’re already nearby and ready to help. We take pride in being a part of the Charleston, WV community and want to do our part in making it the best it can be.